At this point, we don’t know much about J.J. Abrams’ upcoming >Star Wars: Episode VII, and odds are we won’t get much concrete detail until the movie actually opens on December 18, 2015. 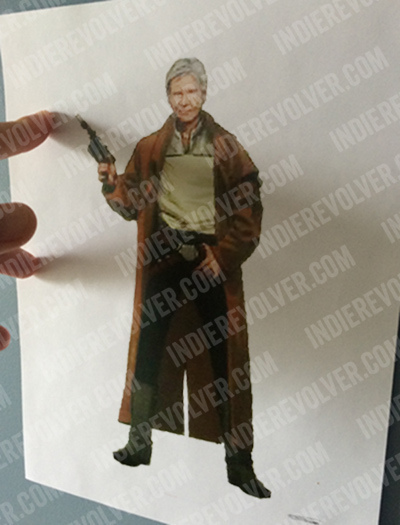 One thing we all suspect, however, is that Harrison Ford’s Han Solo, that loveable rogue, that scruffy looking Nerf Herder, will play a major role. And now, thanks to some concept art that has leaked onto the internet, we have a better idea of what he might look like. Yesterday we got our first look at a possible stormtrooper redesign, and these come from the same source. There are a couple different looks in these pictures that, at least on the surface, tell us a little about what we could encounter in Episode VII. 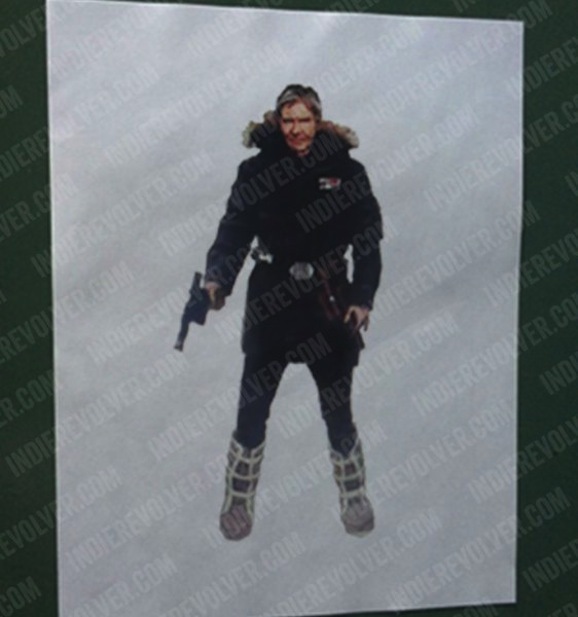 If this first image is any indication, we’re going to go somewhere cold, like Hoth cold. You’ll need a sturdy, fur-lined coat in a place like that. This isn’t the first indication that the film might be headed someplace cold. A while back someone involved in the production teased that Hoth isn’t the only isolated, frozen planet out there in the galaxy. That doesn’t tell us much, but considering that Abrams and company have already filmed in the deserts around Abu Dhabi and the picturesque Skellig Michael, an island off the coast of Ireland, so perhaps this could indicate that we’ll hear reports of filming someplace rugged and out of doors that they could make look like a frozen wasteland. The next outfit up on the runway doesn’t tell us much about where it’s going to take place, but it fits with Han’s overall persona. He started as an outlaw, a smuggler, and he’s always been something of pseudo western gunslinger. This long duster jacket looks like it could be found on someone walking into a saloon on the frontier of the American West, and realistically, you can envision him doing exactly that. And that smirk on his face, is pure Han all the way. Since early on, Ford has figured prominently into all of the significant rumors that we’ve heard surrounding Episode VII. Some have even gone so far as to call him a co-lead. The most recent rumors hint that part of the plot will involve Han and Chewie, along with franchise newcomers John Boyega and Daisy Ridley, on a quest for his old friend Luke Skywalker, who has—again according to unsubstantiated rumors—has been missing since the end of Return of the Jedi. Considering that after Ford was injured on set production had to be put on pause for a two-week break, you have to assume that he plays a fairly major part. Here’s some footage of Ford at the recent premiere of Expendables 3. It looks like he’s moving pretty well for a guy who just got off crutches and had surgery on his broken leg. That definitely bodes well for when production on Episode VII gets rolling again later this month.